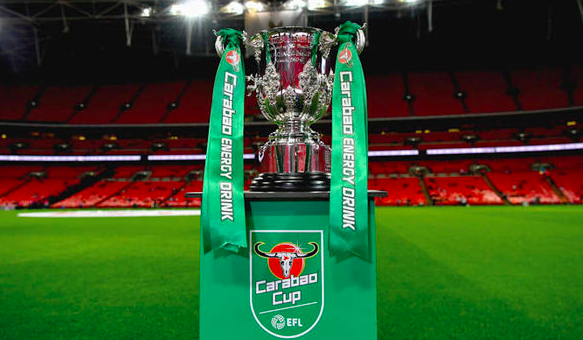 Football betting and a round up of the Tuesday night's Carabao Cup. A great night for football betting, we have provided and a brief round-up from Tuesdays action on the Carabao Cup. When it comes to betting and form, everything is out the window. Check out our online betting markets page to see what’s the best type of bet to place. Liverpool were dumped out of the Carabao Cup last night against the odds. Goals from Shinji Okazaki and a wonder strike from Slimani in the second half sent Liverpool packing in the first round for over 15 years. Football betting: before the game was both teams to score and a Liverpool win, how wrong we were. Although the reds had the momentum and dominated the first half, they were unable to find a way past Craig Shakespeare’s men. It wasn’t until the 67th-minute when substitute Okazaki slotted home from close range before Sliming finished. The result saw the foxes through to the next round. When football betting I look for an outside bet and this one won us a decent amount of cash at 7/4. It’s now been four games for Jurgen Klopp’s side without a victory. They were not the only premier legue side that went crashing out at the first stage. Burnley were beaten by the mighty Leeds United on penalties. Stoke went out to a resilient Bristol City and Huddersfield to Crystal Palace. Roy Hodgson earned got his first Crystal Palace win at the second time of asking. Bakary Sako’s header secured his teams passage to the second rond of the cup. Famara Diedhiou and Matty Taylor sunk an understrength Stoke side inside 10 second half minutes. Dele Alli put his off the field situation to the back of his mind as he scored to take Tottenham through past a well prepped Barnsley side. Bolton provided little resistance to a strong West Ham side. For a football betting stance, you would have been hard pressed to select Masuaku, Sakho and Ogbonna, but the goals saw them through. And Swansea provided too much of a test for Champoionship side Reading with goals from highly rated Aldie Mawson and Jordan Ayew in 2-0 win. Middlesbrough seem to be finding their goal scoring touch recently and were assisted by Tommy Elphick seeing red for two yellow cards early on. A Patrick Bamford brace eased them into the next round. For those football betting and this one in particular would have gone with the favourite Bamford. Less can be said for Brentford who have struggled in the league failed against a strong Norwich side. Online betting, this was always going to be an away win and over 2.5 goals. Find out more about betting what betting markets to bet on. Of the three ties that went to extra time, Burnley’s defeat to Championship side Leeds United is the stand out. 0-0 until the 80th-minute when Hadi Sacko’s run and strike opened the game up. When football betting I would have put over 0.5 goals in the first half, but this would have failed. Two penalties and a stoppage time free kick from Roby Brady, sent the tie into extra-time and then penalties. Stuart Dallas scoring the decisive kick after Tarkowski’s effort was brilliantly saved by Leeds United keeper Andy Lonergran. Josh King bagged his first goal of the season nine minutes into extra time against fellow premiership side Brighton. This fixture was one for the betting public to stay away from. Both weakened sides, it was always going to be unpredictable. All bets were off after Bright Enobakhare’s 98th-minute winner sent out the remaining League One club Bristol Rovers. Enobakhare’s fired in giving the Rovers keeper no chance. Tom Lockyer was dimissed for Rovers which didn’t help their caused. It is always a mixed bag betting on the league cup. You never know which teams are going to be put out which makes football betting even harder! We predicted goals, but most of the games didn’t deliver.